The traditional shopping centre model is evolving in an effort to keep up with technology! Expect something different on your next shopping spree! 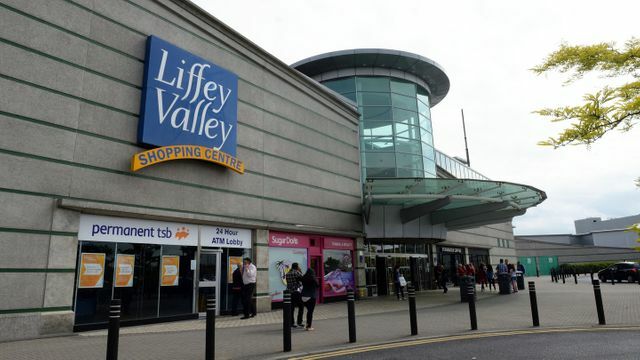 South Dublin County Council have recently granted permission for a Olympic sized ice rink with a 2,500 seater stadium along with space for an estimated 60 additional retail units and a large urban plaza at Liffey Valley Shopping Centre.With similar novel additions to the traditional shopping centre becoming the norm across the country it strikes the question as to whether this is now the future of shopping centre schemes? Shopping centres are increasingly becoming leisure and recreation destinations as opposed to just a collection of retailers in order to attract and maintain sustainable levels of footfall and to compete with other centres within their locality.KPMG’s Retail Department have commented that shopping centres need to adapt to and harness digital possibilities if they are to continue to flourish as the most valuable customers of the future will be those who shop both in-store and online. This is where shopping centres with a unique blend of leisure, retail and lifestyle will have a distinct advantage over high streets and traditional retail parks.In order to compete with online shopping, shopping centres need to match e-commerce in convenience and create experiential reasons for the consumer to visit which they cannot access in their homes. For retail stores, its retail as entertainment rather than simply as commerce. For example, in the USA Ralph Lauren is testing interactive mirrors in changing rooms which allow consumers to change lighting, request different sizes and browse other items or interact with a member of staff. Macerich, the owner and operator of a number of malls in the western US has created “Santa HQ”, a pop up that allows consumers to play with functions like augmented-reality selfie videos and receive texts when Santa is ready to see them.Smartphones are also having a significant impact in the future of the shopping centre as centres are now increasingly providing consumers with promotions, free wifi, parking navigation and restaurant booking services.While e-commerce has contributed to a recent decline in footfall at shopping centres in Ireland the tides are now turning. Now, with the new experiential and smartphone technology, retailers have the opportunity to use technology to reverse the downfall of shopping centres.